Change things up with these side-trips from Hobart: Port Arthur Historic Site (in Port Arthur) and Bonorong Wildlife Sanctuary (in Brighton). 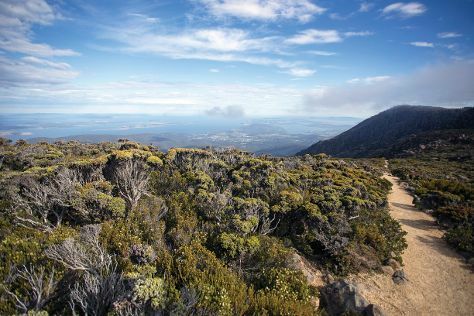 The adventure continues: take your sightseeing to a higher altitude at Mount Wellington, admire the natural beauty at Royal Tasmanian Botanical Gardens, steep yourself in history at Cascades Female Factory Historic Site, and get curious at Tasmanian Museum and Art Gallery. To see ratings, reviews, and other tourist information, you can read our Hobart travel route planner . Sydney to Hobart is an approximately 4.5-hour flight. You can also do a combination of train, ferry, and bus; or do a combination of bus and ferry. Traveling from Sydney in February, expect Hobart to be little chillier, temps between 26°C and 14°C. Wrap up your sightseeing on the 12th (Tue) early enough to travel to Brisbane. When in Brisbane, make a side trip to see Warner Bros. Movie World in Oxenford, approximately 1h 20 min away. There's still lots to do: have fun at South Bank Parklands, make a trip to Wheel of Brisbane, admire the natural beauty at Roma Street Parkland, and identify plant and animal life at Lone Pine Koala Sanctuary. 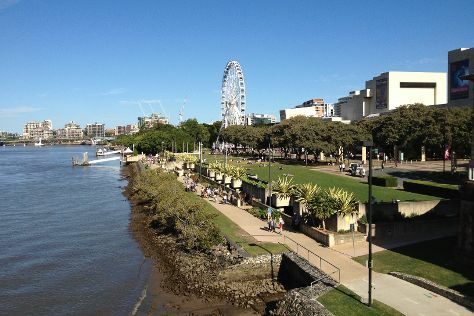 To find ratings, maps, other places to visit, and other tourist information, refer to the Brisbane trip itinerary planner . Traveling by flight from Hobart to Brisbane takes 5.5 hours. Alternatively, you can do a combination of flight and bus; or do a combination of car and ferry. Traveling from Hobart in February, expect Brisbane to be somewhat warmer, temps between 33°C and 24°C. Wrap up your sightseeing on the 15th (Fri) to allow time to travel back home.